What is the TEAM Challenge Ropes Course? 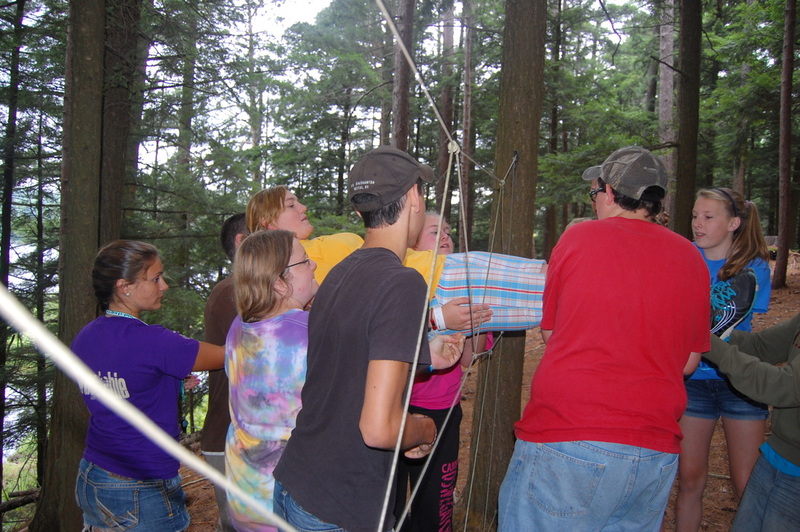 The TEAM Challenge Ropes Course at Oswegatchie is a tool used to enhance group development and personal growth through fun learning games, trust initiatives, and low & high ropes elements. An emphasis is placed on group success and enhancing self-confidence. Develop and improve upon valuable problem solving skills. Advance cooperation and team work. Build better trust in others as well as self. Build upon personal and group desire to succeed and accomplish goals. Expand mutual support within a group of people. To develop appreciation of and identification with our natural world. To have fun in a safe, "challenge by choice" environment! Each group session starts with fun warm-up games and exercises. These games work to instill trust amongst group members as everyone is encouraged to play hard, play safe, and play fair. Any barriers that may inhibit the groups success will be reduced in these games. 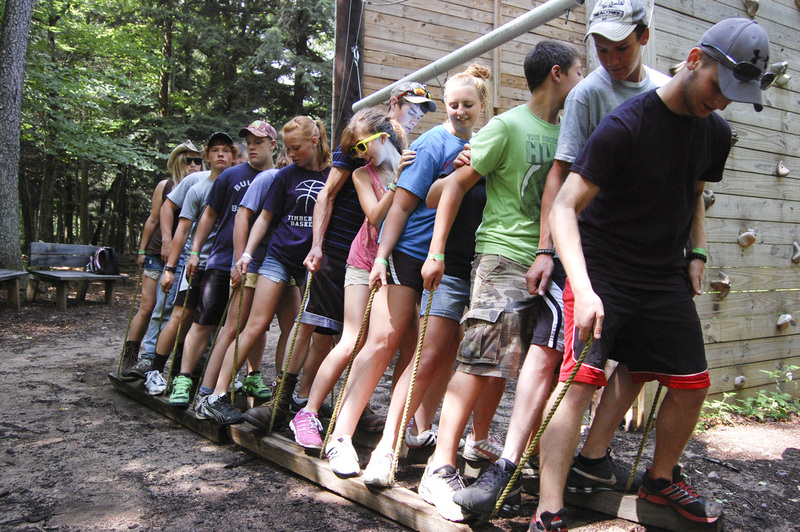 The TEAM Challenge low ropes course consists of a series of team building obstacles that provide participants with opportunities to work together to solve problems and accomplish goals. The obstacles are called "elements". An emphasis is placed on communication, team work, and trust. 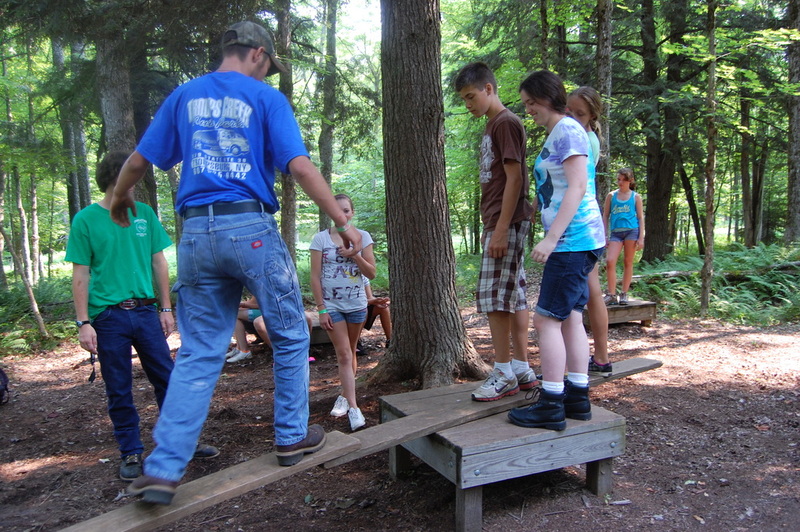 With each new obstacle your group will experience first hand what cooperation and team work can accomplish. A group will only get through 2 - 4 elements in a 3 hour block. How many elements experienced depends on groups ability to work as a team and how intense the challenge is set by the facilitator. Success is accomplished by all members of a team, not just one or two individuals. Appreciation that everyone is an integral part of the team. Realization of ability to place trust in others as well as self. Undeniable feelings of accomplishment and success. Lessons in life skills that will not be forgotten.